The Script launch new album in Dublin. The Script launched their brand new album 'Science & Faith' in style on Wednesday night in Dublin. We sent our showbiz reporter Kevin Hughes over to Dublin to chat to the guys. 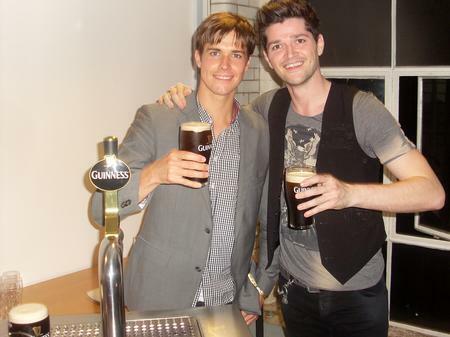 Danny, Mark and Glen played a seven song set for fans, family and industry VIPs at the iconic Guinness Factory which is situated just minutes from where three lads grew up. The launch was one of the hottest events in Dublin this year with thousands of fans applying for the chance to see the band and hear new tracks before anyone else. The band have had incredible success in American this year but are now back with the new single 'For The First Time', which they played alongside hits like 'Break Even' and 'The Man who Cant Be Moved' plus new material from 'Science & Faith', which is released this Monday. Backstage after the gig, Danny from the band spoke exclusively and only to Capital. Showbiz Kev asked Danny about the new album, success in America and their gig at the HMV Hammersmith Apollo on Monday night. Danny also confirmed that several A-List stars are now firm fans of the band including a certain Cameron Diaz who gave Danny her phone number! But has Danny called Cameron? Listen to the interview below to find out. 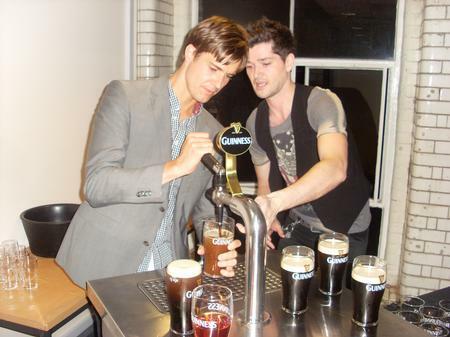 Oh and check out the photos of Danny from the band showing Kevin how to pour the perfect pint of Irelands finest!